Game of Thrones' star Emilia Clarke says show will film multiple endings: "We aren't being told what's actually going to happen" – AiPT! 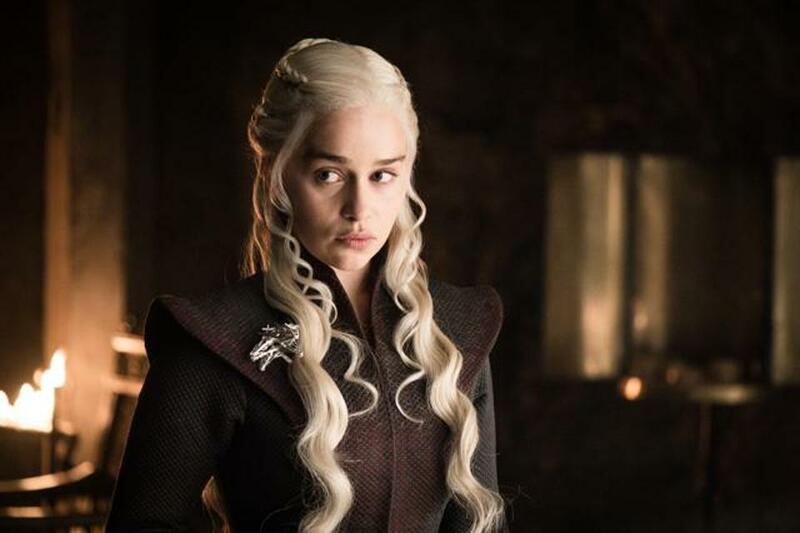 Game of Thrones' star Emilia Clarke says show will film multiple endings: "We aren't being told what's actually going to happen"
How will HBO’s Game of Thrones end? Not even the stars of the show know for sure. Winter has come and with it, the final season of HBO’s uber-popular Game of Thrones. Debate over how the series will come to a close has been going on since the show’s inception and far earlier (don’t worry, A Song of Ice and Fire fans. Our day will come); who will end up on the Iron Throne? Will there even be an Iron Throne? Will Cersei Lannister continue her treacherous ways even in the face of a Whitewalker invasion? Will Jon Snow and Daenerys Targaryen and their combined forces prevail? What role does greenseeing Bran Stark play in all of this? What’s the over/under on the two remaining dragons living to the end? I don’t know that I even do now. I’m being serious. I think they’re filming a bunch of stuff and they’re not telling us. I’m being serious. I’m being deadly serious. I think that they don’t even trust us. There’s lots of different endings that could happen; I think we’re doing all of them and we aren’t being told which is actually what’s going to happen. How will Game of Thrones end? And can even the shooting of multiple endings prevent the rampant episode leaking that has plagued past seasons? Sound off in the comments.